and styling at reasonable prices! Tue - Fri - 10am - 6pm, Sat 10am - 5pm, Sun-Mon closed! Totally found this place by accident when I needed to get a haircut and couldn't go where I usually go. That may be the best bit of luck I've had in a long time because this is by far the BEST haircut I've had in years. Violetta really knows what she's doing and cut my hair exactly the way I wanted it. 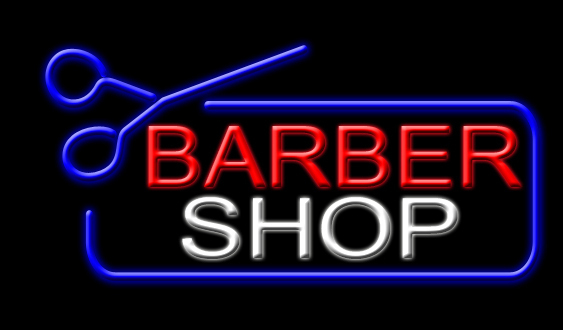 You can't go wrong here.....great cut and cheaper than going to a salon or even Supercuts which is more expensive and just a front to try and upsell you to everything else they have. I want to make sure this lady stays in business so try her out, you won't be disappointed. Honestly, Violeta doesn't even need a review--she is extraordinary! I was edgy about where she might be moving. Luckily, she moved only two blocks away from her original shop (that would be this establishment). Now she is an independent hairdresser at Christiano's Hair Lounge. After 3 years cutting my hair, she still does an amazing job! Violeta is awesome! By far, she is the best hair stylist I've ever had. She is very professional, and on top of that, she is affordable. What else can you ask for? With my busy schedule, it's always hard to get free time to get in and see her, but I always book an appointment, and she is always ready. You can really tell when Violeta has the "good hand" as soon as the cutting starts, and Violeta definitely has the touch. She also pays special attention to those special areas of my hair, the ones that I told her were bothering me. *She takes her time with your cut, really listens to you (even though I am a man of few words and don't know what to say to her) I ended up with a killer cut. * But most importantly, you get a great cut & maintaing your image, which is what you came here for.